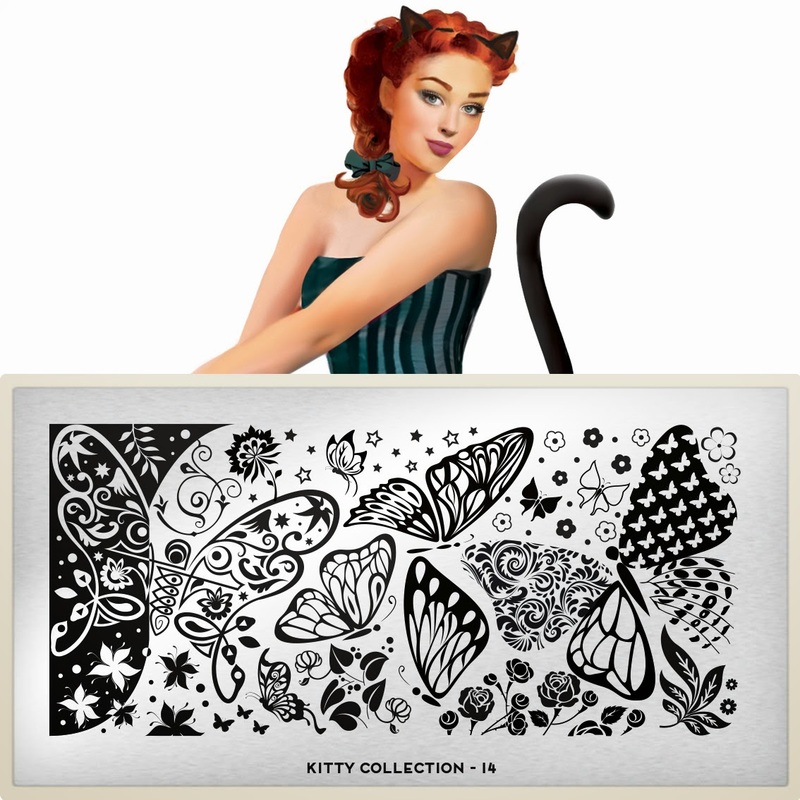 Lacquer Lockdown: Hot Off The Stamping Press: MoYou London Kitty Collection Expansion! 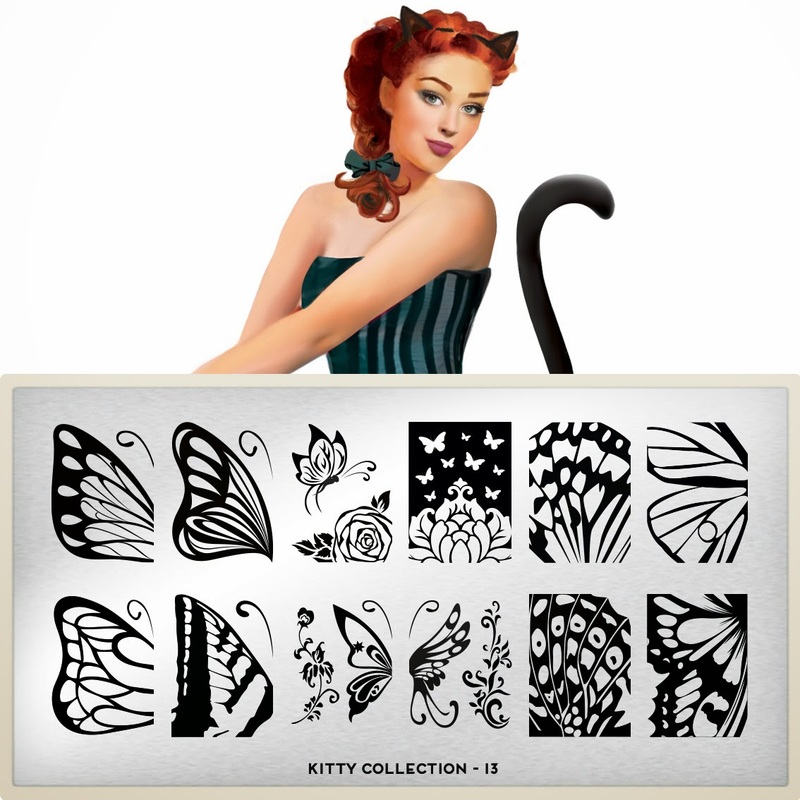 Hot Off The Stamping Press: MoYou London Kitty Collection Expansion! So what can I say about the Kitty Collection? I own all the plates yet seemingly this is one of the most neglected sets in my MoYou London stash. 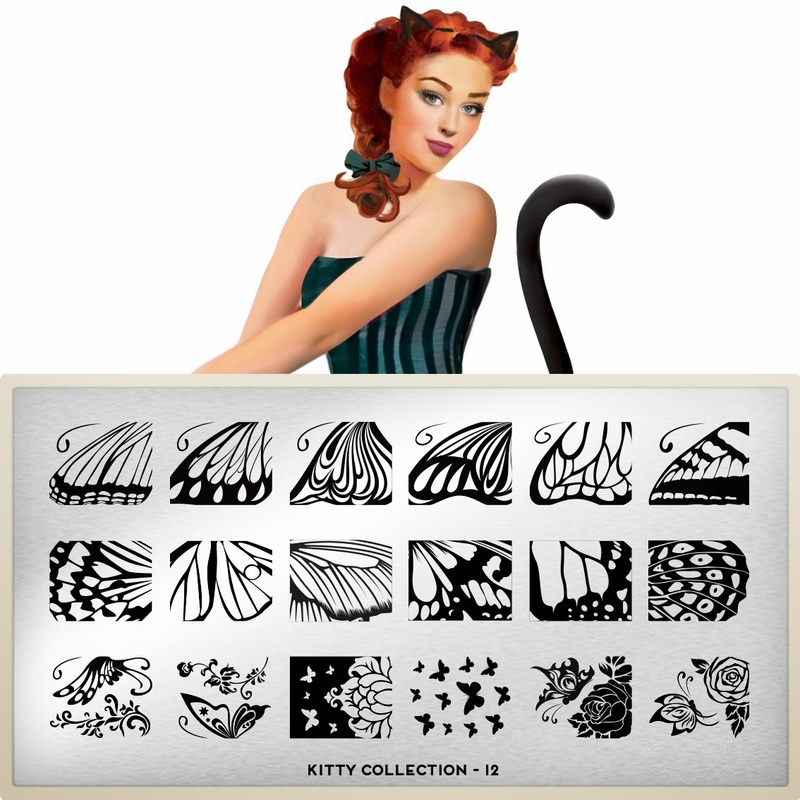 If I had to say why it's because the Kitty collection in the past has only offered fairly tiny and small images. Most are singular and for some reason I don't find myself reaching for them. My favorite is the plate with the birdcages and kitty's in motion. So I was pleasantly surprised when I saw what they came up with this week. Another winning landscape plate from MoYou. The abstract butterfly to the far left is my absolute favorite! I've never seen a butterfly image like that one a plate before.